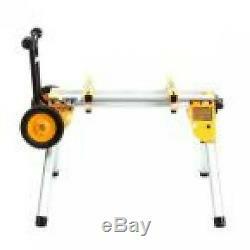 DEWALT Table Saw Stand Wheels Rolling DW7440RS Folding Quick Connect Brackets. Rubber feet keep the stand from sliding on smooth surfaces. Heavy-duty aluminum construction withstands loads up to 200lbs. 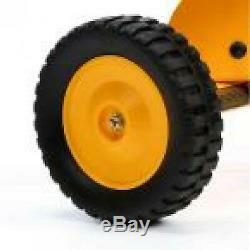 Large heavy-duty wheels can easily roll over jobsite debris. 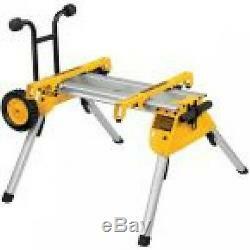 The DEWALT DW7440RS Rolling Table Saw Stand has a lightweight design, weighing only 33 lbs. The heavy-duty kickstand allows the stand to balance upright for mobility and storage. 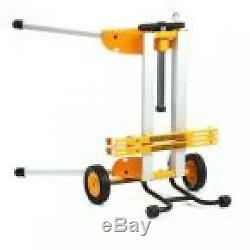 Folding legs with quick release levers collapse under the stand, minimizing overall size for transport and storage. 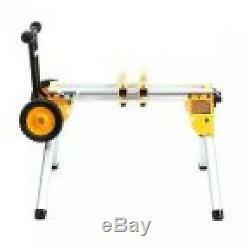 The retractable soft grip handle allows the user to pull the stand behind them comfortably with the weight of the saw near the ground. The quick connect stand brackets attached to the saw for easy detachment from the stand for loading and unloading. Lightweight design weighs only 33lbs. 20% lighter than other competitive mobile stands. 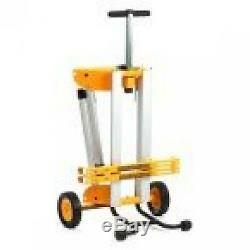 Heavy-duty kickstand allows the stand to balance upright for mobility and storage. Quick connect stand brackets attach to saw for easy detachment from stand for loading and unloading. Wide stand base and offset rear legs provide stability and support for material feed control. 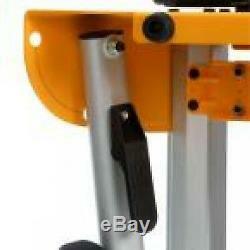 Folding legs with quick release levers collapse under the stand, minimizing overall size for transport. Retractable soft grip handle slides out allowing the user to pull the saw behind him comfortably with weight near the ground. 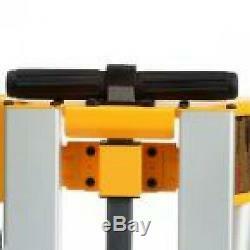 Table top height provides the user ideal table top positioning for a wide variety of table saw applications. We reserve the right to cancel any order for any reason at any time. We are not responsible for undeliverable addresses. Your feedback very important to us, after you get your package and you are. If you have any problem with your order / any questions please before leave any type of feedback. Thank you for shopping at our store.